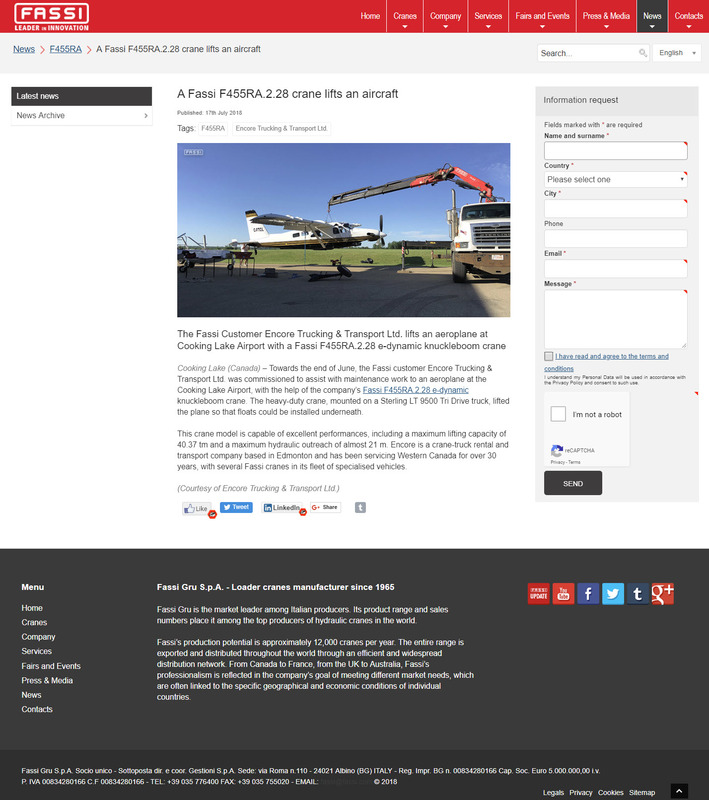 Float Plane Lift to show our versatility - Encore Trucking & Transport Ltd.
Our latest unique lift, a Float Plane Lift, was featured on the Fassi.com website! This was a fun lift for one of our 25 ton Fassi knuckleboom picker trucks. We drove out to a local airport and lifted a customer-built airplane up into the air so he could install some floats on the bottom. We do very unique lifts like this all the time so keep checking our social media pages for updates! You can see a picture of the post below or visit Fassi.com.